Ministry of Textiles Recruitment 2018 05 Junior Assistant Vacancy Apply through Official website www.handlooms.nic.in. 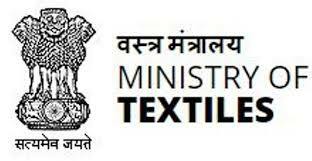 Ministry of Textiles invites Off-line applications for appointment in following Junior Assistant post in Ministry of Textiles. Candidates are requested to Download Application through Official website www.handlooms.nic.in. The last date for submission of applications is 06.08.2018. other Details Like education qualification, age limit, selection process, application fee & how to apply, important links, syllabus, admit cards, results, previous papers are given Below. 2. Junior Assistant (Processing) – Essential: (1) Matriculation from a recognized Board or Industrial Training Institutes (ITI) Diploma in Textile Dyeing or Printing trade. (2) Should have 3 years practical experience in a Dyeing or Processing House or unit of repute or Short term training course of not less than 4 months from Weavers’ Service Centre or Indian Institutes of Handloom Technology with 2 years experience in a dying or processing house or unit of repute. 3. Attendant (Weaving) – Essential : (i)Matriculation from a recognized Board or Industrial Training Institutes (ITI) Diploma in Textile Weaving or Winding or Warping Trade from a recognized Institution of repute; and (ii) Should have two years experience in a reputed Handloom or Textile Weaving Unit and should be well-versed in different methods of winding, warping and sizing of silk, cotton and woolen yarns or Short term training course of not less than four months from Weavers’ Service Centre or Indian Institutes of Handloom Technology in Weaving discipline with one year experience in a reputed Handloom or Textile Weaving unit. Desirable:- Preference will be given to those experienced in bookbinding, sample cutting and making booklets. Selection of the aforesaid posts will be on the basis of a written and practical test, which will be conducted by a duly constituted Selection Committee. However, if the number of applications received for a particular post is large, then the appointing authority reserves the right to lay down any criteria for the purpose of shortlisting of the candidates for selection tests. Application in the prescribed format (Annexure-I) must reach by speed post/Registered post along with self-attested photocopies of all certificates for age, educational qualification, experience and SC/ST/OBC/PH Certificates, if any, etc. to the Director, Weavers’ Service Centre, C.1.B, Rajaji Bhavan, Besant Nagar, CHENNAI 600090 within 45 days (52 days in respect of the candidates residing in NE Region, Jammu & Kashmir, Lahaul and Spiti district and Pangi sub-division of Chamba district of Himachal Pradesh, Andaman and Nicobar Islands or Lakshadweep) from the date of publication of the advertisement of the above vacancies in the Employment News. The serving employees fulfilling the conditions for age relaxation must send application through their respective employer; otherwise, their applications shall be summarily rejected. Application received after the last date or without relevant documents shall be summarily rejected and no correspondence in this regard will be entertained. This Office shall not be responsible for any postal delay.